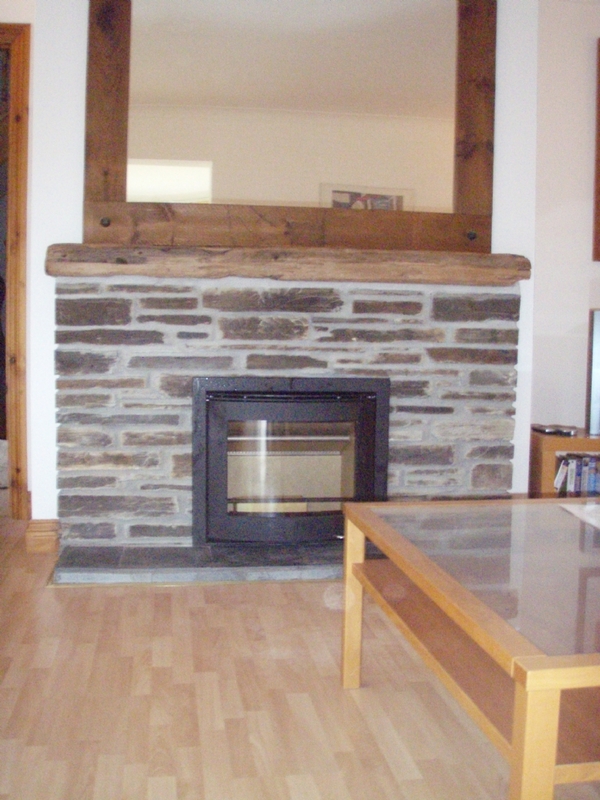 Scan DSA 4-5 in a traditional fireplace wood burning stove installation from Kernow Fires. The Scan DSA 4-5 fitted neatly into this opening once the original firebricks were removed. This will have caused a lot of dust but not much time and Kernow Fires installers would have covered the room with dust sheets before beginning this work. 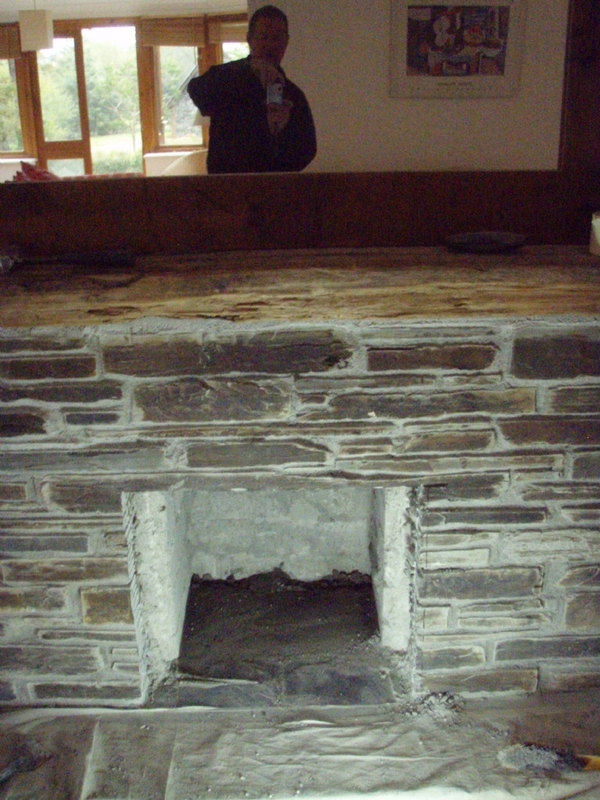 We were able to use the original hearth and the fire was connected to a new liner and fitted into place.